Not just another children's book. A book for the child in everyone. From award-winning filmmaker and former Disney animator Lee McCaulla, comes an enlightening approach to children’s literature. 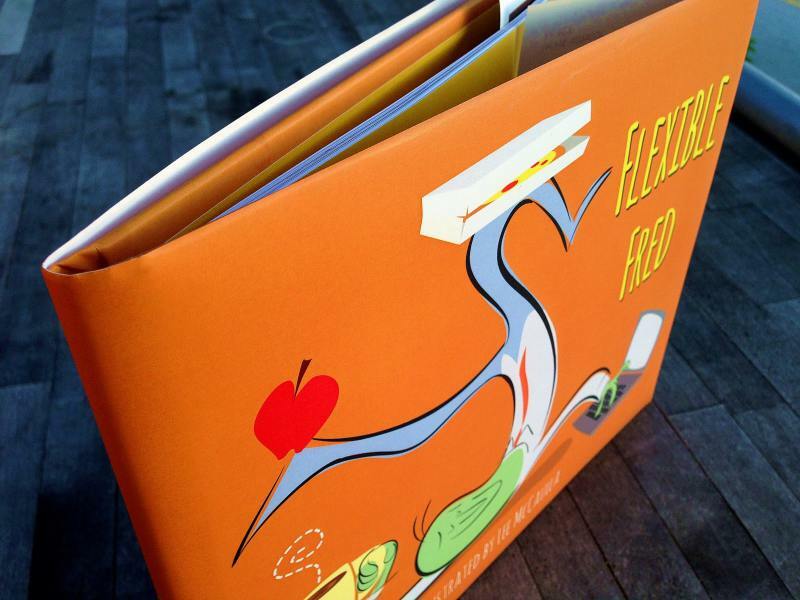 In this debut work as author/illustrator, Lee takes us on an adventure of the heart with his endearing creation, Flexible Fred. It's the whimsical tale of a resilient, go-with-the-flow fellow named Fred who helps a miserable monster named Morton find happiness. Beautifully illustrated in a simple, energetic style, the book will captivate the hearts and minds of readers for years to come. It's the perfect complement to any coffee table collection. 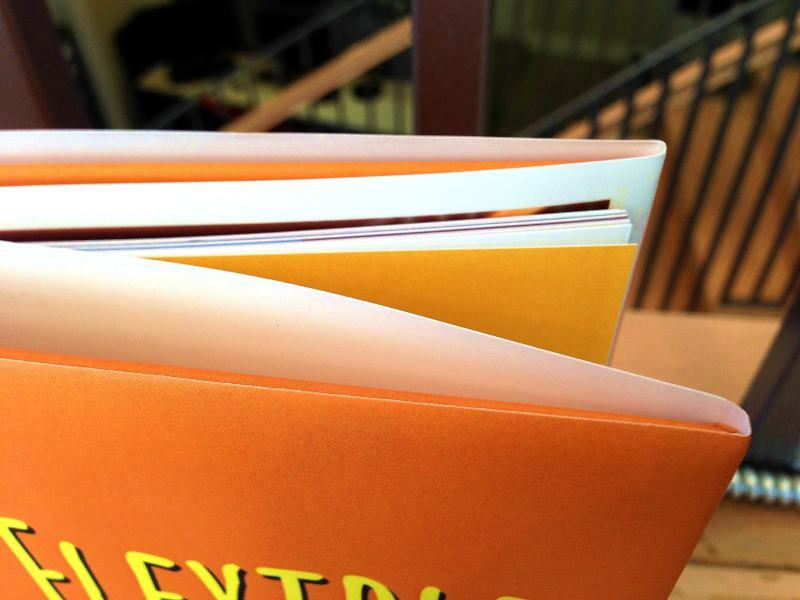 Brighten up your library today with this charming new title from Bicycle Press. "Creatively written, playful artistry and a brilliant message. Conveys a powerful reminder for people of all ages." "Super Cool! 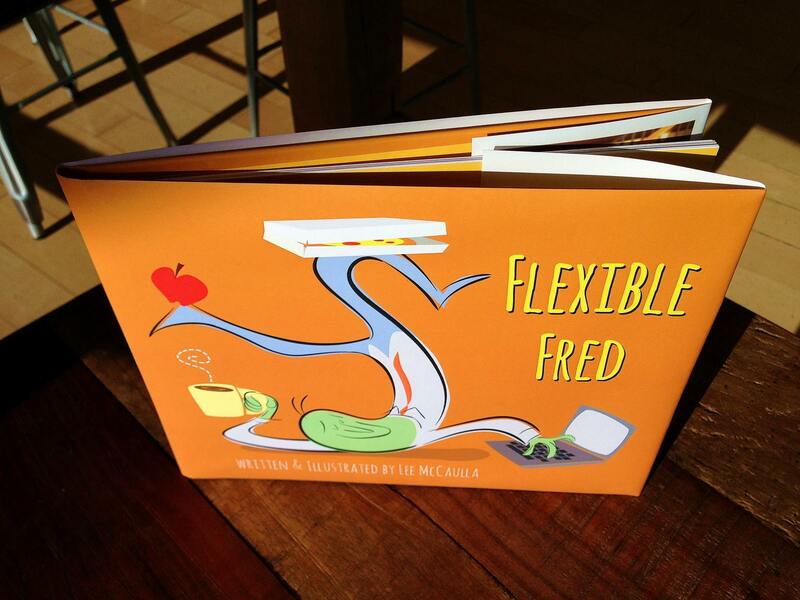 Who doesn't want Flexible Fred in their life? This precious book offers inspiration for all ages. Guaranteed to make you smile and feel good. Delightful on every level!" Some of our fondest childhood memories include those of a favorite book. In fact, studies have shown that children who start reading at an early age and engage in healthy forms of play develop crucial life skills that help prepare them for adulthood. 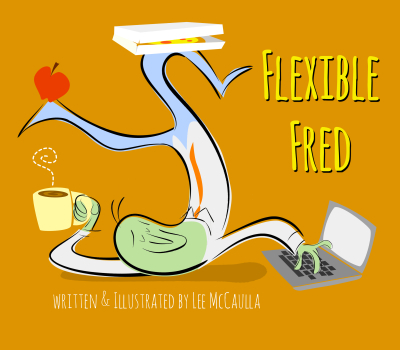 Enter the world of Flexible Fred - where the path of least resistance and inner happiness is the order of the day. Warning: uncontrollable smiles and sensations of joy and laughter may occur as a result of reading this book. Ice cream cones and firefly catchers not included. "Hooray for Flexible Fred! A great role model for all of us Miserable Mortons, teaching us about living joyfully and making our world a kinder, happier place to be." There's an old adage among storytellers known as "show, don't tell". 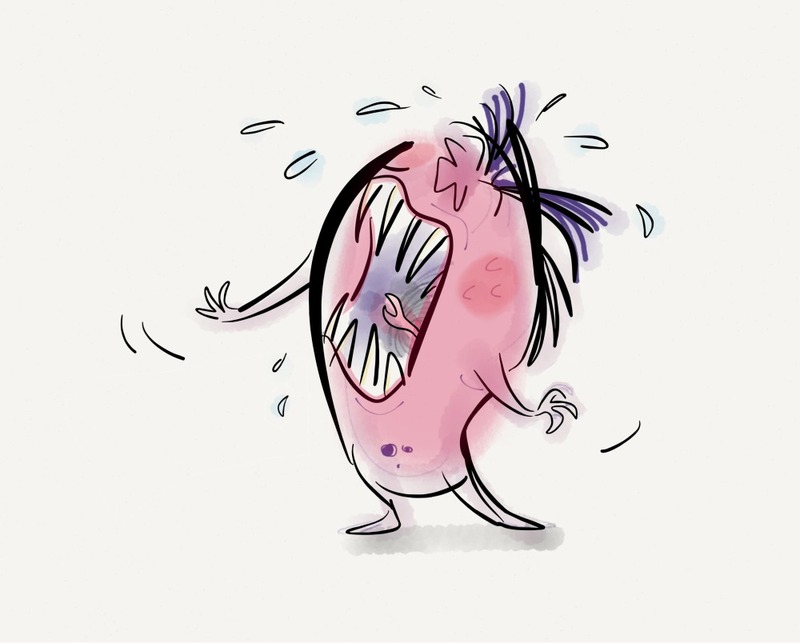 As a picture book, Flexible Fred achieves this maxim along with a "show and tell" approach. 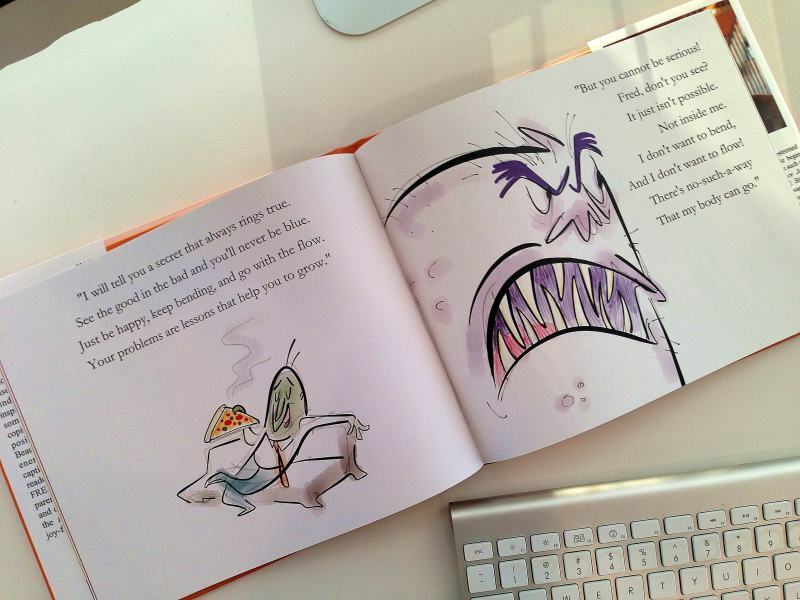 The book's pages are filled with brisk, rhythmic prose and vivid illustrations, creating a unique experience for readers of almost any age. The retro-styled drawings seem to have a life of their own yet remain simple, clear, and true to the story. And thanks to a special printing process, the illustrations and text (originally created on an iPad 2) appear just as crisp and colorful as the author intended. 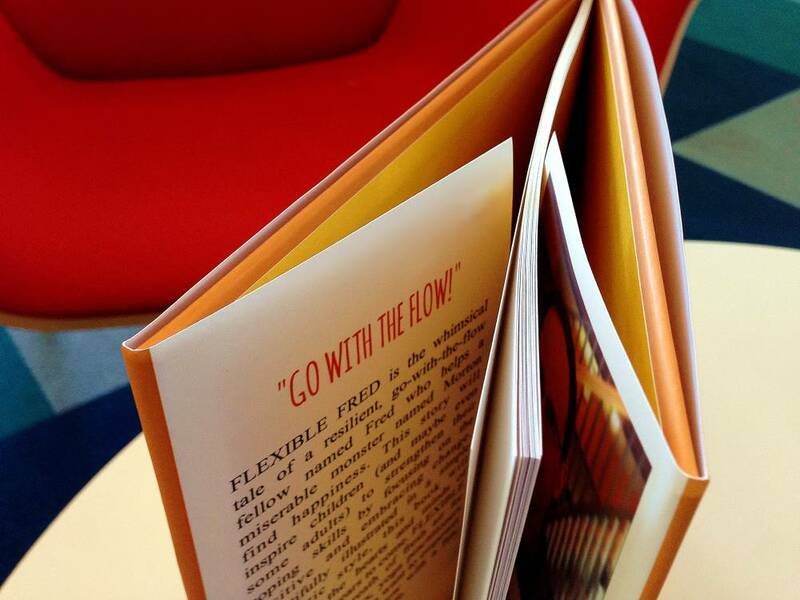 When you purchase a copy of Flexible Fred, you're not just getting a timeless narrative. A treasure trove of great artwork is yours for the taking as well. Filled with poignant insights and a powerful message into the nature of success, Flexible Fred sets a fantastic example for the child in all of us: as we trust in the divine flow of life and remain open to change, we discover the magic that makes anything possible. This compelling teaching tool achieves a unique balance of contemporary art and spiritual magnetism, encouraging readers to unravel the bliss that lies dormant within themselves. 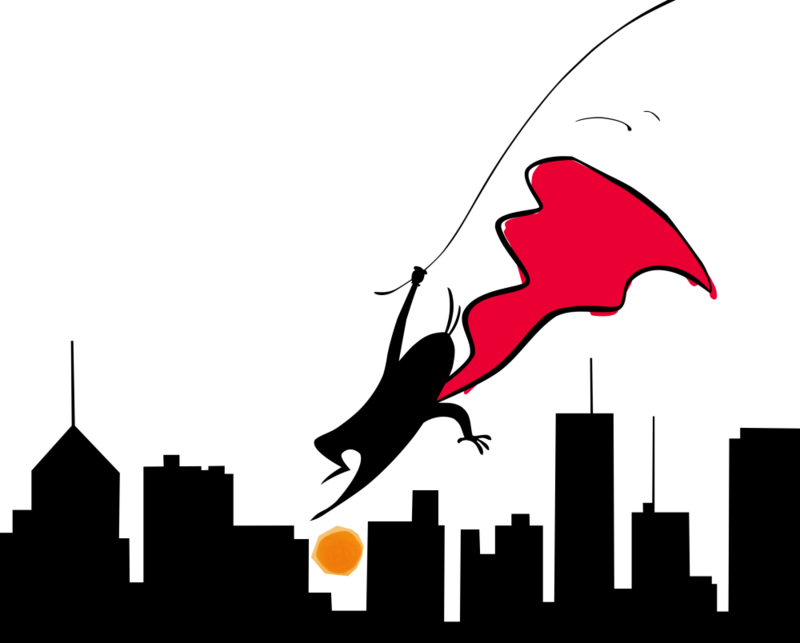 ​Flexible Fred is a breath of fresh air for parents, educators, counselors and yoga practitioners who wish to foster the awakening of inner fulfillment and empower the adults of tomorrow with a fun, joy-filled approach to life. "Reveals one of the true keys to finding success and happiness. and colorful illustrations awaken this spirit in his readers." There's no school like the old school. This 10x8 First Edition is bound in beautiful hardcover format and features a matte laminate finish, its very own dust jacket, and decorative endpapers. You can hold it. Smell it. Get lost turning through all the pages (yes, real pages). 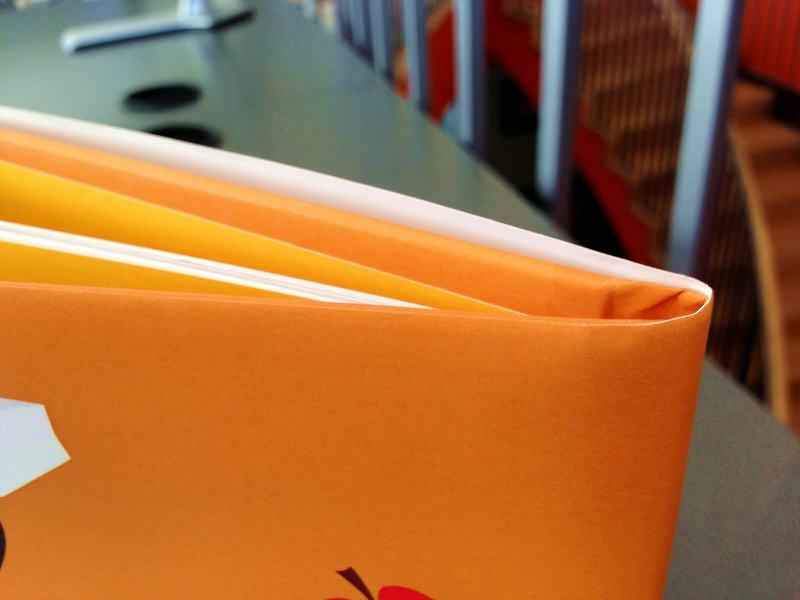 In fact, Flexible Fred is only printed on paper that is FSC Certified, completely non-toxic and contains recycled content. That's how much we care about the environment. So go ahead. Make that cup of coffee. Curl up next to the fireplace. Cordon off your favorite reading nook. Take all the time you need. 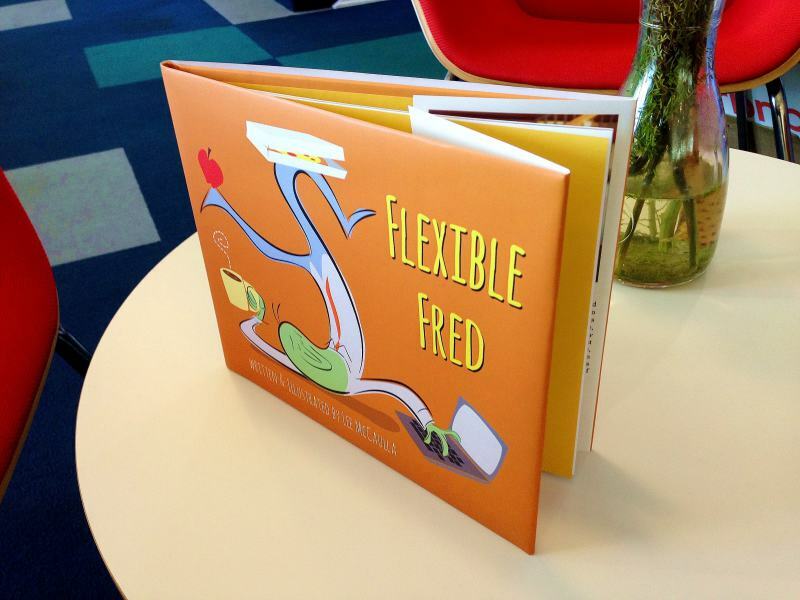 Celebrate the wonder of contemporary children's literature with your personal copy of Flexible Fred. "Flexible Fred is who I wish I could be on the days when I'm Morton."